In General tab scroll down a bit to select a location from drop-down list. Click either Save Changes or Save Changes and Exit. The first option will leave you at this page, the second will redirect you to all Distribution Lists. 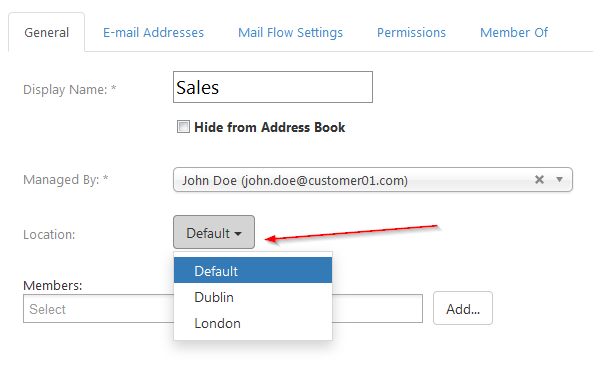 You can also change location setting for one or several distribution lists at once. Go to Organization > Exchange > Distribution Lists. Select the list(s) you need by checking the corresponding check-boxes in the left.